French President Emmanuel Macron decided to scrap the planned carbon tax on fuels after weeks of protests rocked Paris and other major cities across the country. Macron’s decision comes one day after the government announced plans to delay implementing the carbon taxes for six months. The fuel taxes were meant to go into effect in January as part of France’s plan to fight global warming. Prime Minister Edouard Philippe told French lawmakers the carbon tax “is now abandoned.” Phillippe said the government is “ready for dialogue” on what the next steps will be. 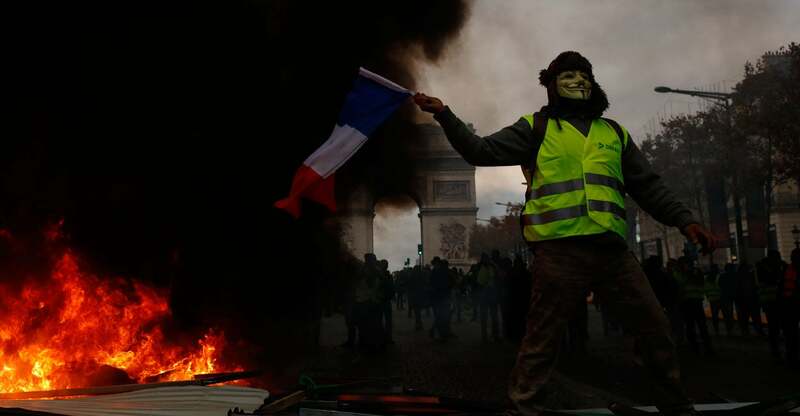 Thousands of protesters called “yellow vests” took to the streets to protest the carbon taxes, which would have added 33 cents to a gallon of diesel and 17 cents for a gallon of gasoline.